Be Your Empowerment through Being In Alignment In Spirit. 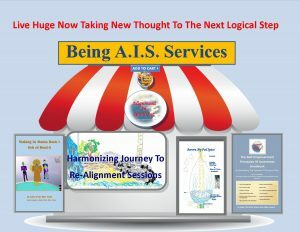 Thank you so much for choosing our Services in the next logical step in “New Thought”. Our products are for your enjoyment and awareness and not to diagnose or Treat any illness or problem. In Regards To Shipping: Please allow 2-3 weeks for The Printer to print the book and ship it out. Please email me at alignmentinspiritinc@gmail.c or call 912-373-5141 if you have any questions. There is a deep commitment by Alignment In Spirit Inc. for the Re-Membering of the Bio-Spiritual of Man at many levels but to do this takes a great commitment of time and energy hence the balance between Service to others and Service to Self. While we do not as yet have a large number of products and Services created by Spirit the ones we have written took much soul searching, meditation, life experience and intuitive insight to create. There is a mindset when we are doing Spirit work to never charge anything because it should be for free because no one owns The Spiritual Essence that flows through us. If we follow that line of reasoning then the artists should not get compensated for their work or anyone who follows inspired action should never be compensated. Which in a moneyless society where everyone takes care of everyone else this works out well and is one of our many goals. All our products are reasonably priced, yet still allow the continuation of Alignment In Spirit Inc to further publish other inspirational material. Plus do not forget the great insights that are posted on the website/ Facebook for free by both Geo-RaMur Aqua El and Katie O’ She Wha’ Nitah. 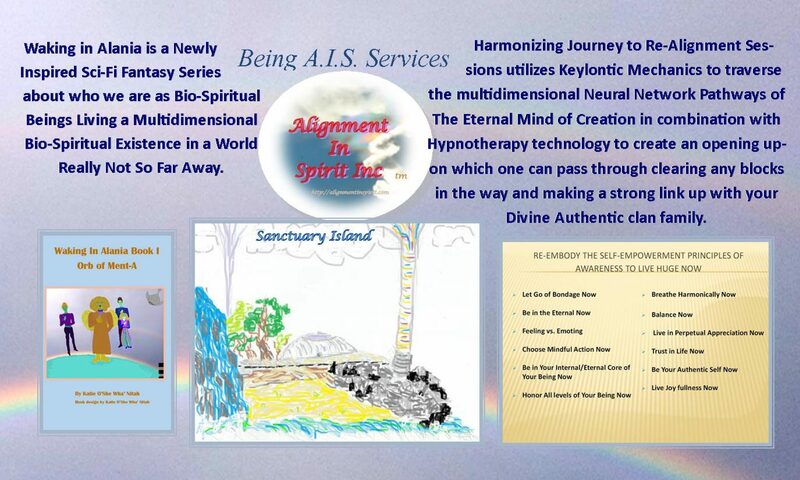 So again please support Alignment In Spirit by purchasing our great Services and please share our information with whomever you think will be interested. Katie O’She Wha’ Nitah, A.I.S.